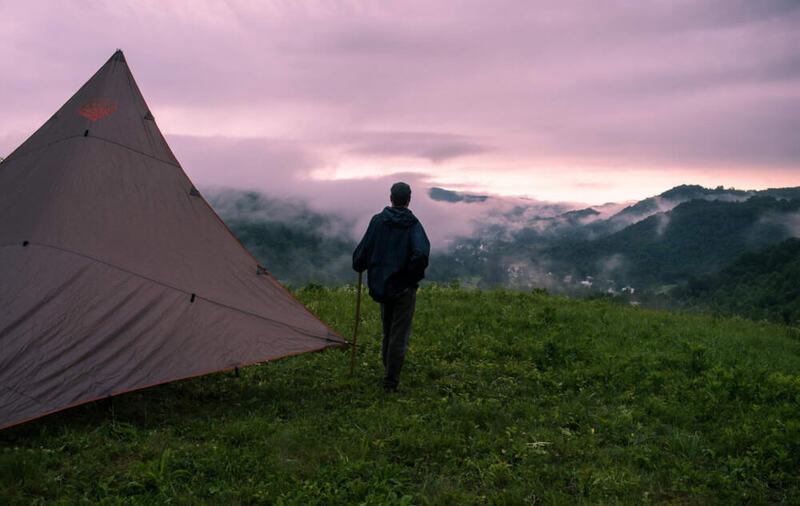 Are you a day hiker our outdoor enthusiast who wants to give backpacking a try, but are completely overwhelmed by the thought of scaling peaks and tenting in remote areas? Maybe you’ve heard of the Appalachian Trail or the Pacific Crest Trail and thought, I’d love to do that, but it’s such a huge commitment and I don’t know where to begin. Whether you’re new to backpacking, are thru-hiking with kids, or just want to take it easy on the trail, we’ve got a few ideas to help you get started. 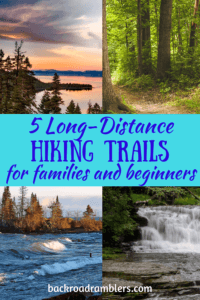 Many people don’t realize that there are lots of long-distance trails in the United States that are suitable for families and beginners. You don’t have to tackle those monster trails until you’re good and ready. The following long-distance hiking trails are perfect for hiking enthusiasts of all ages. Exploring Robert Treman State Park on the Finger Lakes Trail. The Finger Lakes Trail stretches 584 miles, from Allegany State Park in southwestern New York to the Catskill Forest Preserve in the eastern part of the state. In addition to the main footpath, there are 400+ miles of side trails and loops, which brings the total distance up to more than 1,000 miles. While there are a few mountains to climb on the Finger Lakes Trail, it is mostly characterized by rolling hills, dense woodlands, and deep gorges. The trail goes through eight New York State Parks, including many that feature incredible waterfalls. There is plenty of camping along the trail, and even a few lodges where you can score a bed for the night. 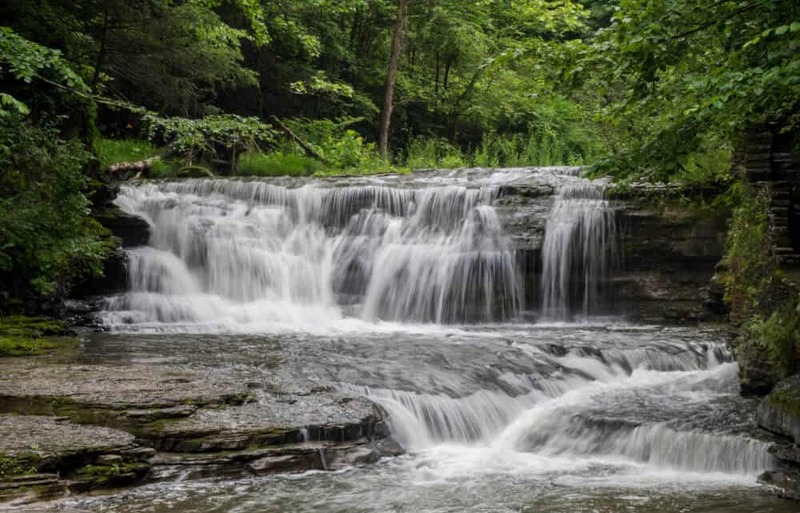 Highlights include a 21-mile stretch through Letchworth State Park, more than 19 waterfalls at Watkins Glen State Park, and the clear Alpine lake in Oquaga Creek State Park. For more information on hiking the Finger Lakes Trail, as well as ideas for section hikes and an interactive map, check out the Finger Lakes Trail Conference. 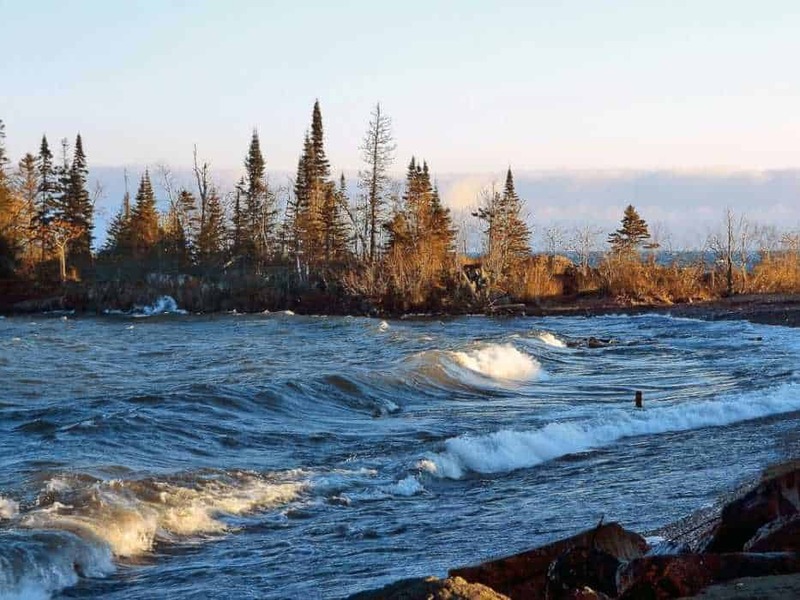 A choppy Lake Superior near Grand Marais on the Superior Hiking Trail. For spectacular Great Lakes hiking with non-stop views, you can’t beat the Superior Hiking Trail along the coast of Lake Superior in northern Minnesota. The trail is 310 miles long and travels through forest and along ridges for most of its length. The path is intended for foot traffic only and is best hiked in the summer or early fall. Beginners will want to start their hike in Duluth and head north. The northern sections of the Superior Hiking trail are quite remote and best for experienced backpackers. There are plenty of camping options on the trail, and campsites are equipped with tent pads, a fire ring, benches, and an outhouse. Most are situated near a natural water source. For more on hiking the Superior Hiking Trail, including ideas for shorter backpacking trips, visit the Superior Hiking Trail Association. The 321-mile Cowboy Trail is the largest rails-to-trails project in the United States. It is surfaced with crushed limestone and is suitable for hikers, cyclists, and horseback riders. While the trail is mostly flat, campsites and other accommodations are between 10 and 15 miles apart, so be sure to plan accordingly. Portions of the Cowboy trail would make a great first backpacking or even bikepacking trip. The trail traverses through mixed vegetation, including grasslands, lush river valleys, forested hills, and sand dunes. There are 221 wooden bridges on the Cowboy Trail, which provide spectacular views of the surrounding landscape, and a few choice spots to stop for a swim. To learn more about the Cowboy Trail, head over to the Nebraska Game and Parks Commission. The 165-mile Tahoe Rim Trail is true wilderness hiking that is accessible to hikers of all abilities and fitness levels. 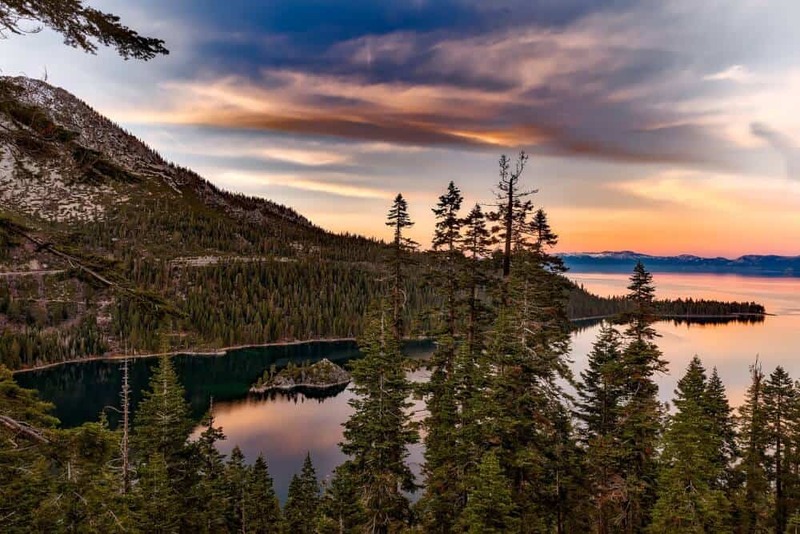 The path circumnavigates the beautiful Lake Tahoe basin, and much of the hike is on an open ridgeline with jaw-dropping views of Tahoe’s azure waters. The hike is well marked, with primitive spots to camp, fill up on water, and restock your food supply. We did say this hike was accessible for all abilities, but we didn’t say it would be easy. You will gain and lose more than 30,000 feet of elevation on the trail, but these ups and downs are in short chunks that will leave you winded, but not kill you. You must have a permit to hike the trail and you are required to hike with a bear canister for your food. Open fires are not permitted. Think this is the trail for you? 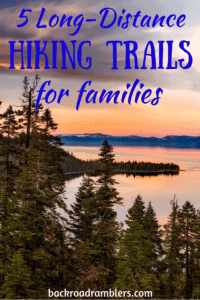 Check out the Tahoe Rim Trail Association. If you have time for some winter hiking, you should definitely check out the 223-mile Ouachita National Recreation Trail. The trail meanders through pine and oak forests, across cascading streams, and through the Ouachita Mountains, where you’ll have panoramic views of the surrounding forest. Campsites are available along the trail, and mountain bikes are allowed on certain sections. Because of sweltering heat and unreliable summer water sources, the Ouachita National Recreation Trail is best hiked between November and April. For complete trail information, visit Friends of the Ouachita Trail. Have you ever backpacked on any of these trails? Do you have recommendations for other trails that are suitable for beginning backpackers?